*Twitter has now ditched the 'buy' button in a bid to "focus on its core product". Find our more. Let’s face it: the smartphone and the traditional ecommerce checkout process are a match made in hell. Small screens, fiddly keyboards and large amounts of data entry have conspired together to wreak havoc on ecommerce mobile conversion rates. This week, Twitter joined the movement to make the mobile purchasing process smoother with its new ‘buy’ button, which lets users make purchases from within their Twitter feed in a matter of thumb taps. Want to know more about how this will affect online retailers? This post will give you the lowdown. 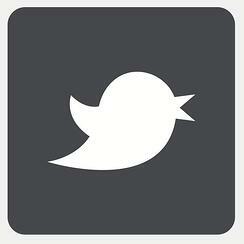 Online retailers will now be able to add a ‘buy’ button to their tweets. What’s more, the entire transaction will happen natively, within Twitter, instead of the user being directed off to a corresponding product page on the retailer’s website. It’s all possible thanks to a set of tools called Relay, recently rolled out by payments services provider Stripe. You’re probably thinking ‘this is old news, Hannah, I heard about this ages ago’. 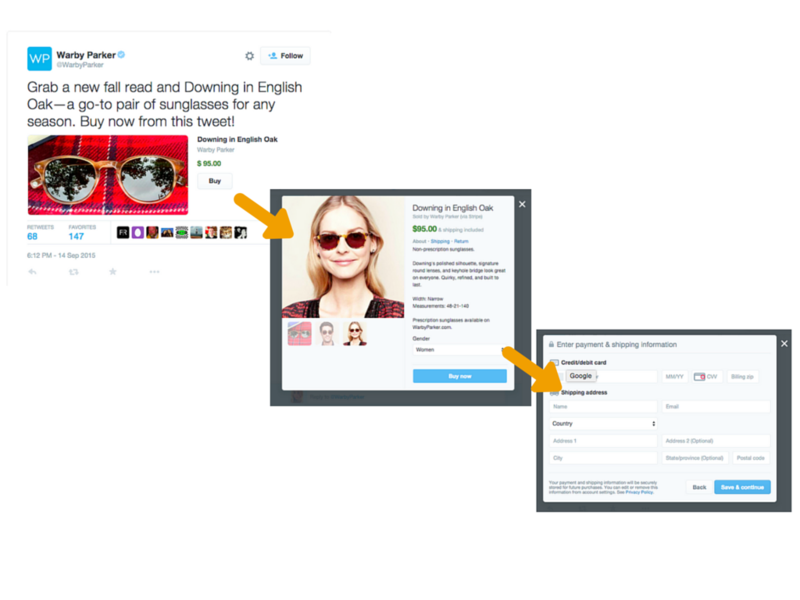 And you’d be right - the good folk over at Twitter first began testing ‘buy’ buttons back in 2014. The big news is that this has now been rolled out to everyone*. (*sort of - it’s currently only available in the US and Canada but here's hoping it'll reach Europe soon). Sweet! How does it work? As mentioned above, Stripe’s Twitter integration is part of a wider set of tools that are geared towards enabling customers to buy products in third party apps or on social networks. Once products are in the Stripe platform, the retailer can grab the item’s tweet-able URL and paste it into a Twitter update, enabling the ‘buy’ button to be displayed. Job done! This can be used both with organic and (most importantly) sponsored updates. Full details can be found in the documentation here. So what does this mean for online retailers? While it’s still early days, this is looking like a pretty promising development in m-commerce. Here are a few thoughts on how in-app purchasing buttons may benefit online retailers. Conversion rates are famously far lower on mobile devices than desktop. By bypassing slow-loading pages, tedious checkout processes and mandatory account creation, and enabling consumers to purchase with a few thumb taps, a great deal of friction is removed from the mobile buying process. a) It's important to come up with a strategy that is targeted and isn't too intrusive. b) You still need to optimise your on-site checkout for mobile - this isn't a magic bullet, and you're not off the hook that easily. The ‘buy’ button provides online retailers with a powerful means of targeting users that have already shown an interest in certain products or categories. This could prove particularly useful in the case of abandoned cart recovery - enabling would-be customers to quickly and easily snap up items they left behind. Undoubtedly, retailers will have to carefully consider how they approach using the ‘buy’ button, especially if they’re looking at combining it with Twitter’s advertising platform (targeting random Twitter users who may or may not be aware of your brand with ads for products that they may or may not be interested in probably won’t yield great results). Nonetheless, using customer data and taste profiling to target custom audiences on Twitter with personalised ‘buy now’ posts containing products you know they are likely to be interested in is a powerful proposition indeed. Will the ‘buy’ button be a hit? Let us know in the comments below!